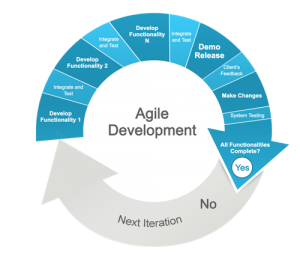 Agile software development is becoming more disciplined but that has not prevented heated debate from springing up again. Our April 2014 issue had an article on Earned Value Management (EMV) in which strong words were traded between Agile and traditional industry experts, e,g. “Scott makes several fundamental errors in [his] discussion. … [You should] ignore arguments against EV[M] from those [who have] not … deployed it successfully.” Glen B. Alleman. Where the debaters share some common ground is the need for better top level management. This topic also features in the article Dangerous Anti-patterns in this issue and in The Bimodal IT Debate Heats Up in our April issue.